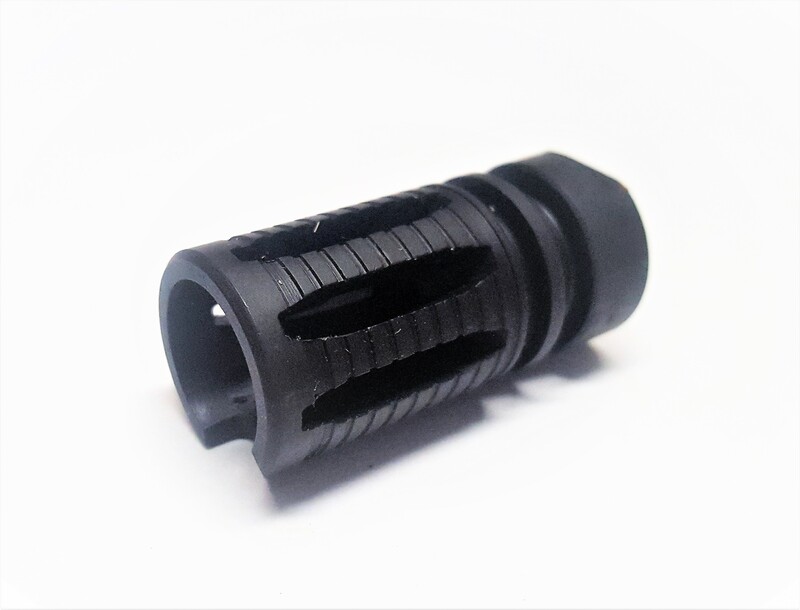 Knights Armament Company M4QD Muzzle Brake 556 NATO Stainless Steel NT4 Gate Latch Connector Black Finish 93048 in new condition. Includes shim kit. Stock photo.